Since the moment photography saved artists from the need to compete in the art of realistic depiction of reality, painting has gradually begun to get rid of subject forms. 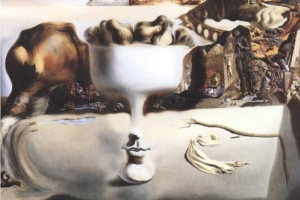 And when the creators were finally able to abstract from objects or images in their paintings at the beginning of the last century, the abstract art emerged. 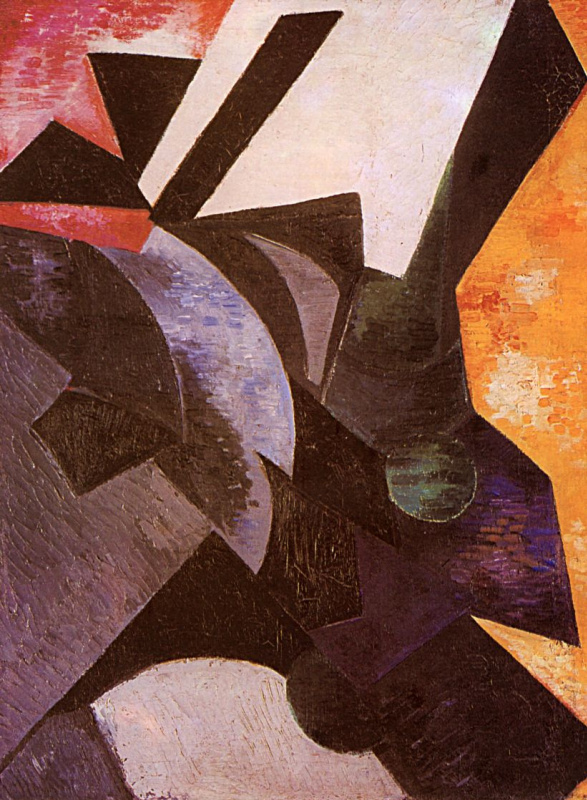 The basis for the emergence of Abstractionism began to be formed long before this moment. 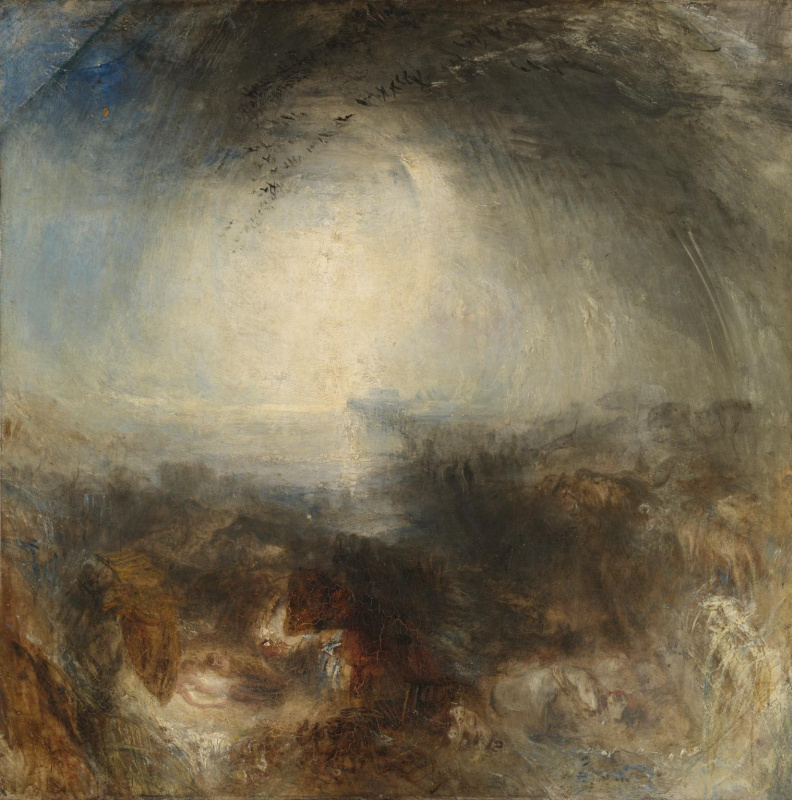 William Turner is considered to be one of the forefathers of all possible "-isms" And it is true that in the Englishman’s heritage there are canvases where some objects or subjects can be guessed only by looking at the titles of the paintings. Then there were the Impressionists, the Cubists and the Fauves, whose experiments have pushed the painting from academic realism. There exist different opinions about who was the first artist who dared to finally get rid of the objectness. 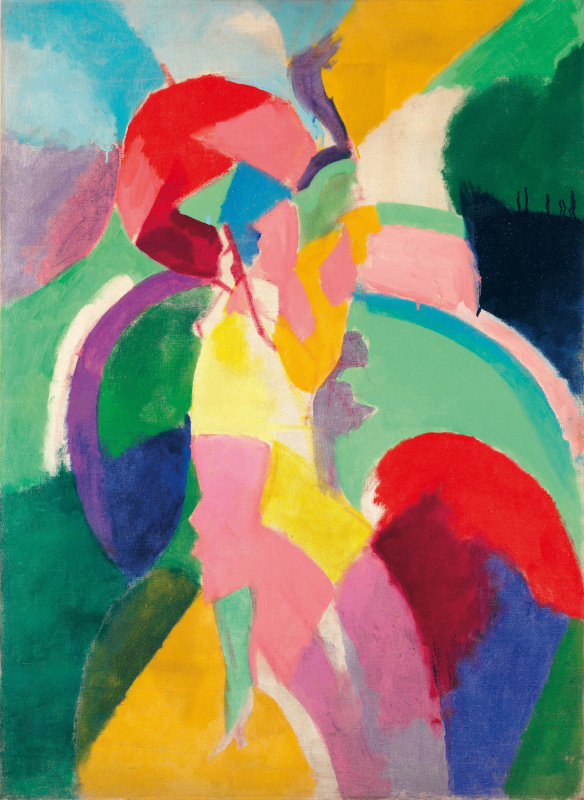 According to one version, it was František Kupka, according to the other, more common one — Wassily Kandinsky. Be that as it may, in the 1910s, pictorial art reached the point of no return, refusing to fulfill one of its main functions — reflecting reality. Basically, Abstract art is a loose concept, as the term is applicable to multiple art movements, sharing the lack of figurativeness. Depending on what the representatives of each of them focused on, the principles and names of the new styles were formed. Thus, Abstract art includes Luchism, Tachisme, Orphism, Suprematism, Neoplasticism, Abstract Expressionism, and other art movements. 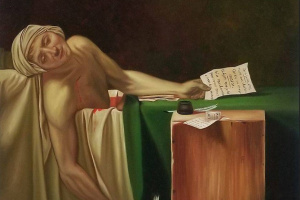 The seeds of non-objective painting were especially fruitful in the USSR. 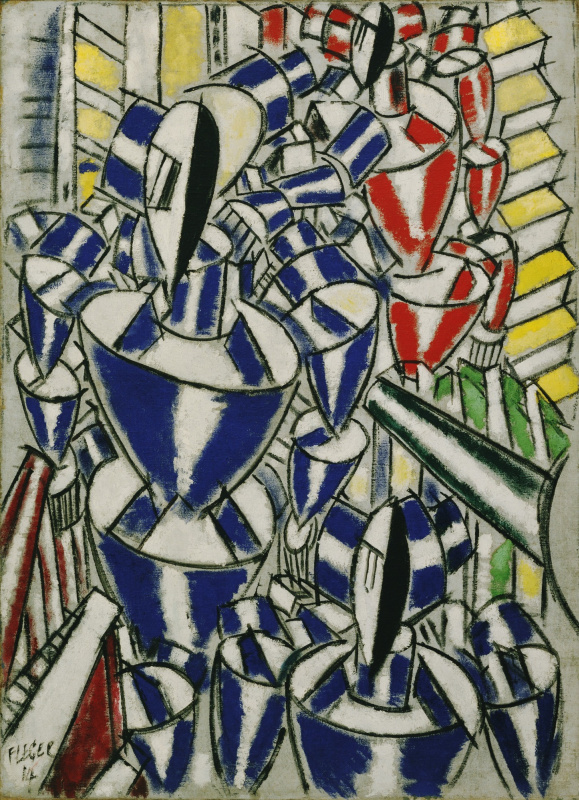 Here in the 1920s, whole groups of artists were engaged in the cultivation of avant-garde trends: Malevich, Suetin, Goncharova, Chashnik, Matiushin and others. 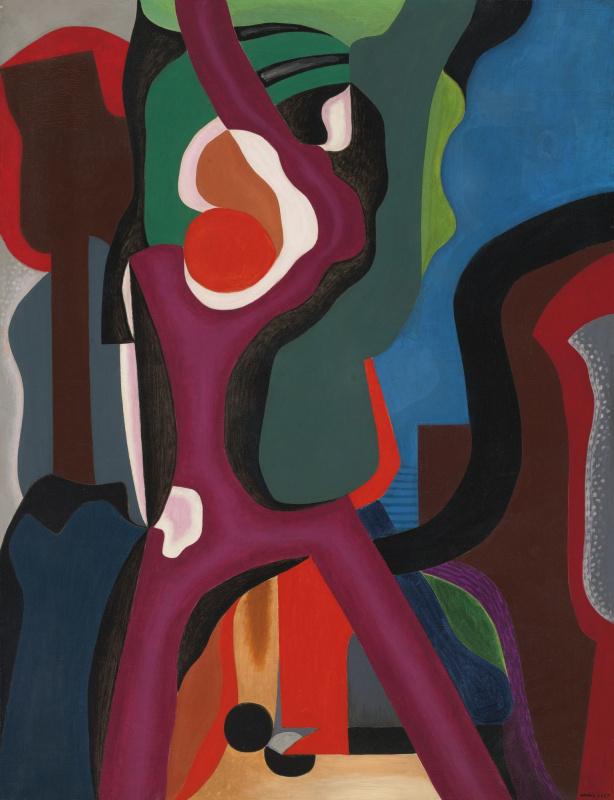 In an indirect form, the features of Abstractionism can be traced among the adherents of a number of avant-garde movements: Futurists, Surrealists, Expressionists, Constructivists and many others. Generally speaking, the appearance of Abstract art let loose all those restrained by the canon of academic painting, because from that moment the artists could do anything — even hanging Black Square in the red corner. 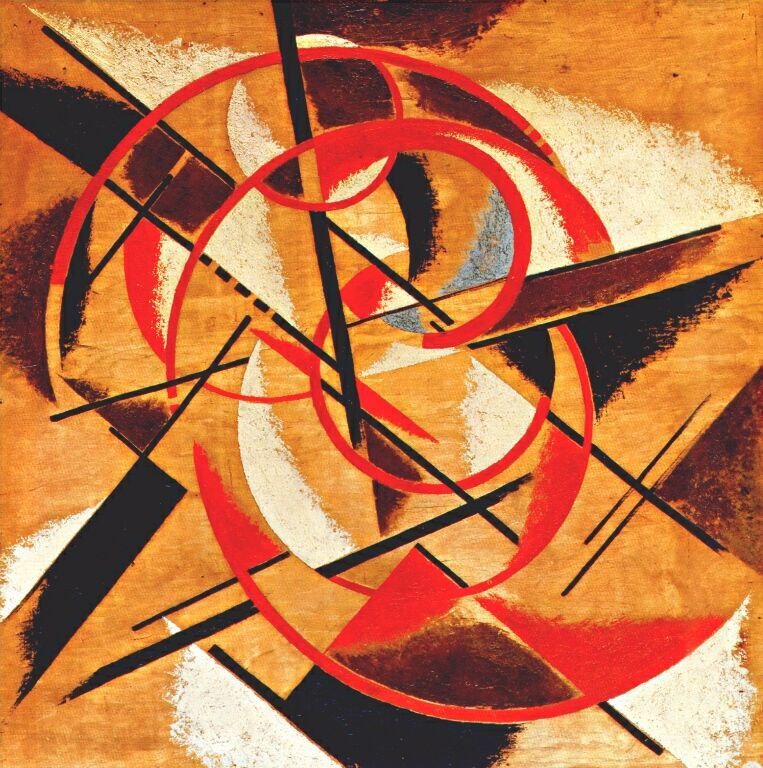 All Abstract art works are divided into geometric and lyrical abstraction. Acute angles, dispassionate atmosphere and clear forms define the first category, and smooth fluid lines and lyrical mood are characteristic, respectively, for the second one. 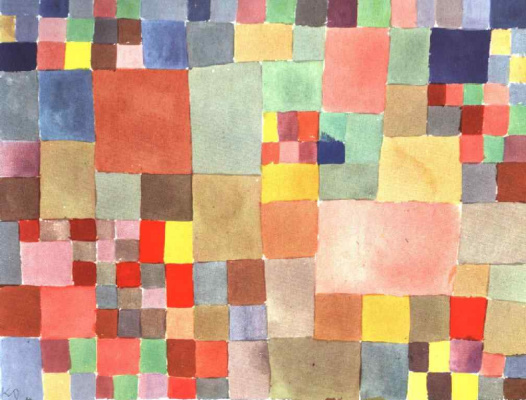 What do composers have in common with Abstractionists? 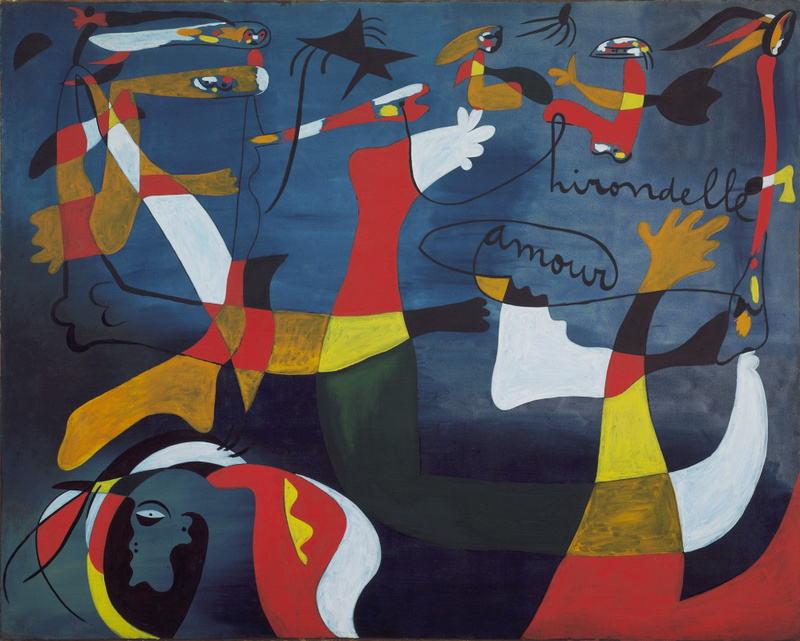 Those were musical compositions that became the impulse for the appearance of the first works of abstract painting. 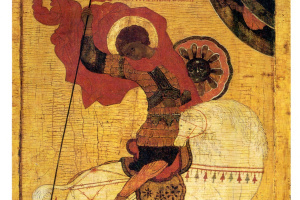 The artists tried to achieve the same effect that the music produced on the listeners. Having no physical or any other tangible form, that is, being essentially an abstract concept, the sounds of music, however, can make a person feel quite real emotions, e.g. cry for joy or sadness; they can also cheer people up or inspire. 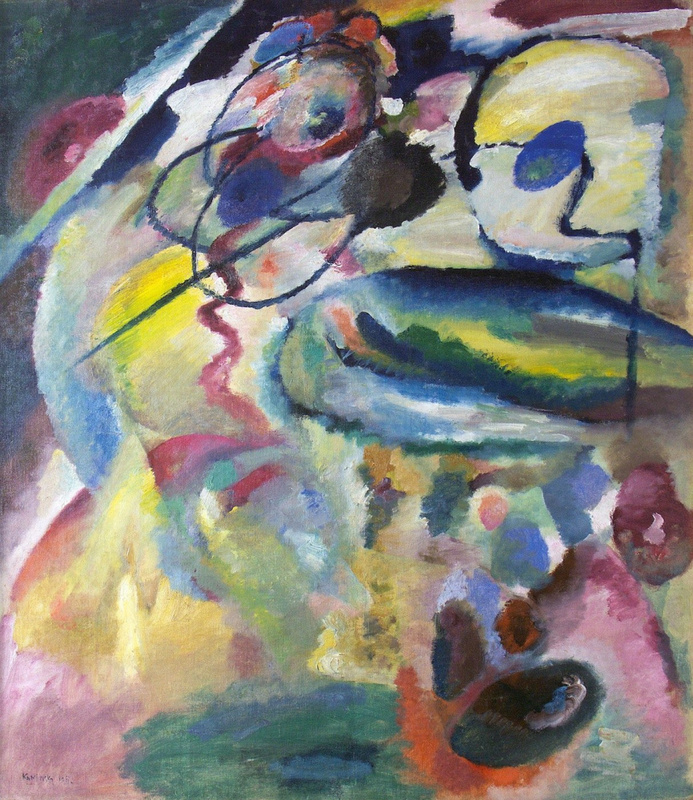 So Wagner’s opera Lohengrin, which caused a storm of not only emotions but also visual images in the beginning artist Wassily Kandinsky, made him think about trying to do something similar with the canvas and paint — something producing the same powerful impact on the viewer, but without a direct use of specific images. 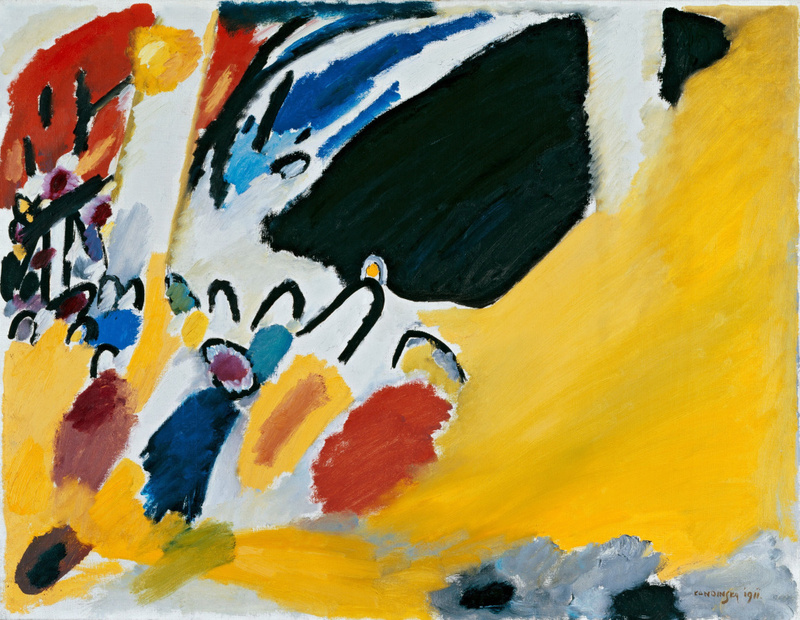 One of the first experiments on this path was the painting Impression III (Concert), created by Kandinsky after he visited a performance of Arnold Schönberg from Vienna. By the way, he worked in an atonal manner — that is, he was the avant-gardist of music. And although in this work one can still see some figures — the outline of the piano and the spectators heads in the stalls — this painting can hardly be considered figurative. 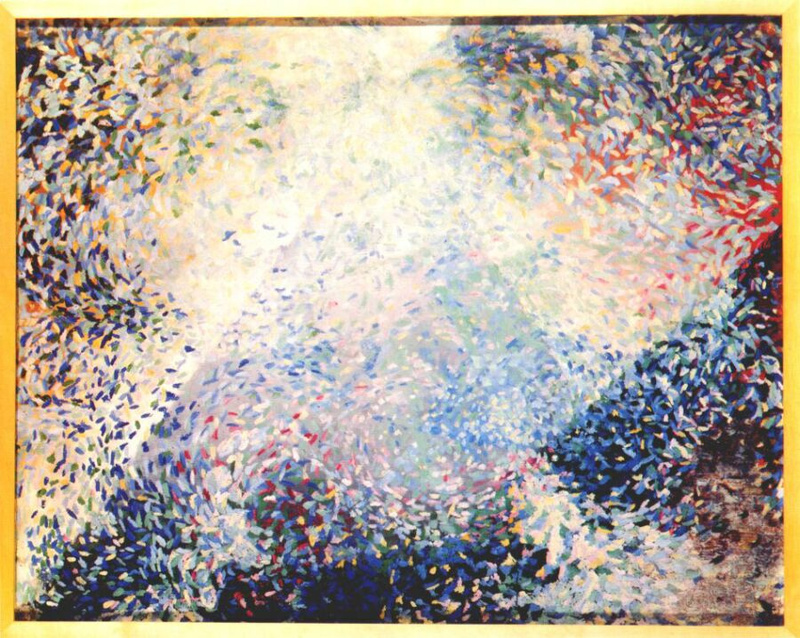 Robert Delaunay also sought to create pictorial symphonies. 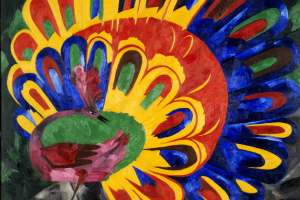 Even the Orphism, founded by him together with his wife Sonia Delaunay, was named after Orpheus, a singer and musician from the myths of Ancient Greece. 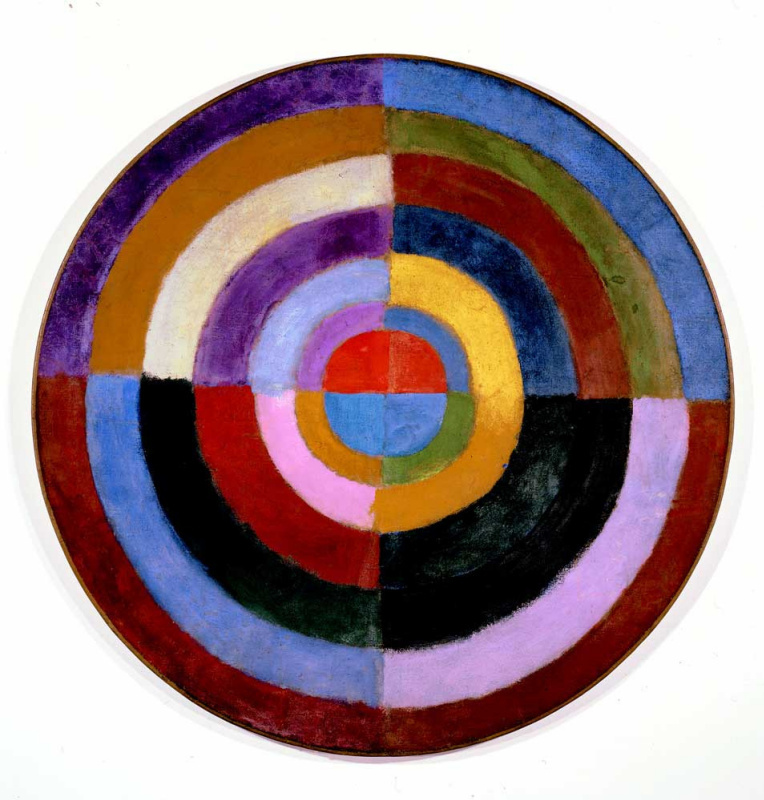 Although this term was not coined by Delaunay himself (he preferred the term "simultanism" in honour of the theory of the simultaneous contrast of colours), but by the French poet Guillaume Apollinaire. 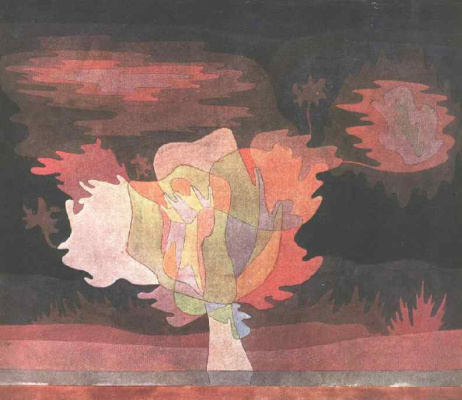 What distinguishes the works by abstractionists from children's drawings?
. But their works, like the canvases by other movements' representatives are often technically complex, or they seem simple only at first glance. And the chaos on them is usually structured, which makes it possible to unmistakably separate the original from a counterfeit. As the experiments show, the human eye can distinguish the work of an abstract artist from the child’s drawing or a masterpiece created by the animal: for example, a chimpanzee. In 60 — 70% of cases, participants of such tests successfully cope with the task. You can experience it first-hand by taking Arthive’s special test and seeing the results of other respondents. Some Abstract art painters tried to get rid of any hints that could make the viewer associate with objects or images depicted on the canvases, and therefore gave them the most abstract titles such as "Plot Nr," "Composition," or didn’t give them any names at all. But others, on the contrary, used the names denoting the idea that should be seen by the viewer on the canvas — be it, for example, "Russian Ballet" or "Trafalgar Square". 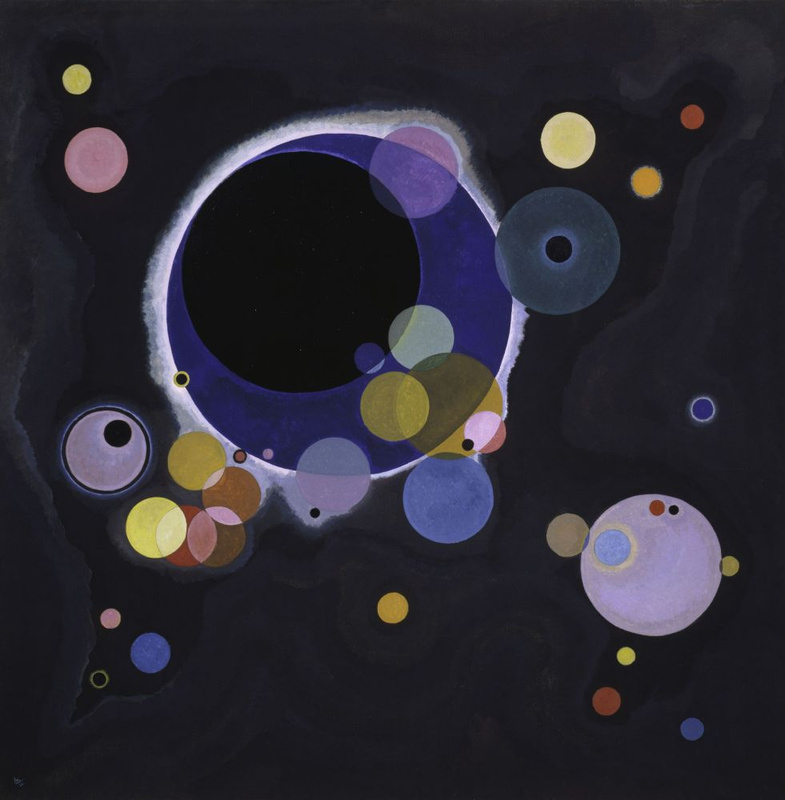 Wassily Kandinsky, Kazimir Malevich, František Kupka, Paul Klee, Piet Mondrian, Joan Miró, Fernand Léger, Theo van Doesburg, Robert Delaunay, Liubov Popova, Hilma af Klint, Josef Albers, Gerhard Richter, Marsden Hartley, Auguste Herbin, Natalia Goncharova, Nikolai Suetin, Mikhail Matiushin. , and strove to play on the strings of the spectators soul with the help of colour. It’s one of the first non-objective paintings of the Czech artist, who lived mainly in the capital of France. Having tried his hand at Fauvism, Cubism and Orphism, Kupka eventually came to a final rejection of figurative painting. Although cosmic motifs can be traced in this work — and it’s for a reason — the artist was fond of lectures in physics and biology, and even had a microscope and a telescope in his studio. Paradoxically, it was his interest in exact sciences that led him to Abstract art: "Nature is ever-changing, rapid are its metamorphoses," he explained. "That's why non-objective paintings reproduce more exactly what the most faithful realist painters attempted to give the world." 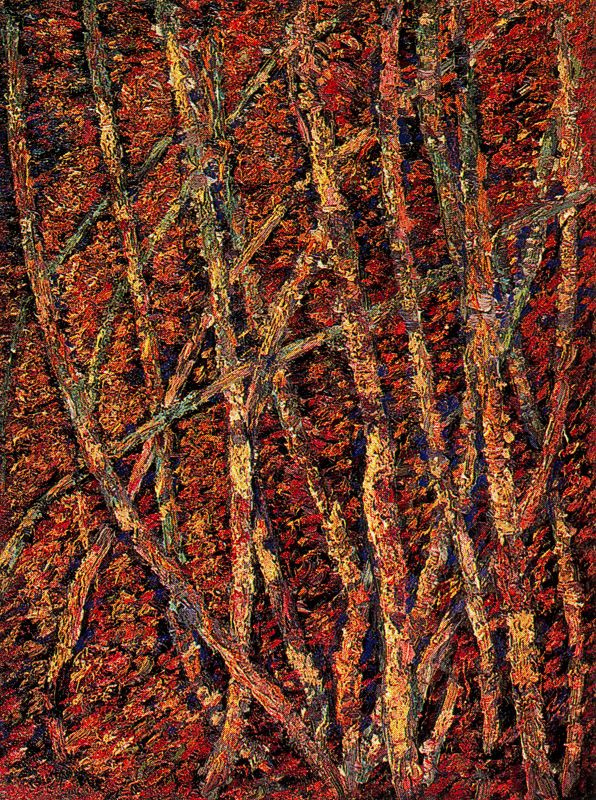 It happened so that Kupka always found himself in the shadow of other avant-garde artists. 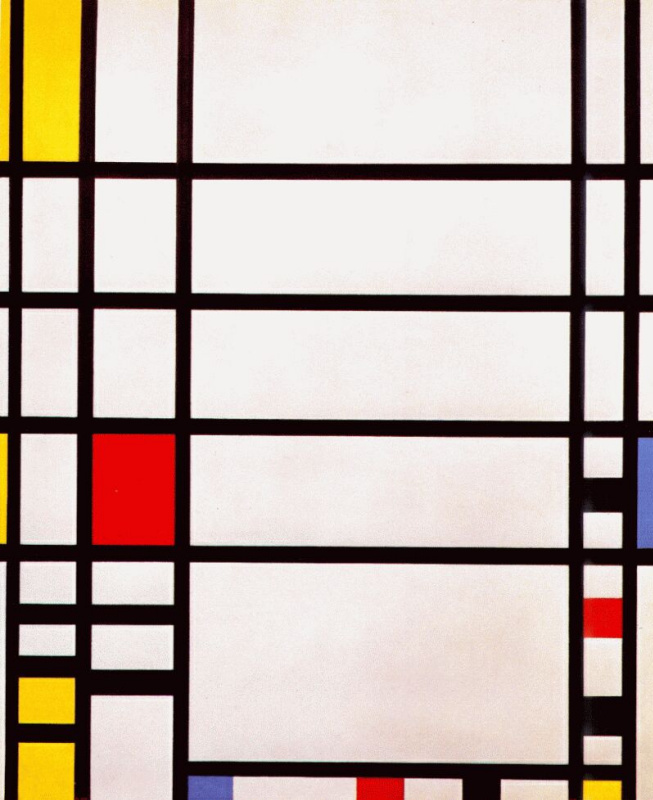 Still, there were also those who appreciated his contribution to the formation of Abstract art. 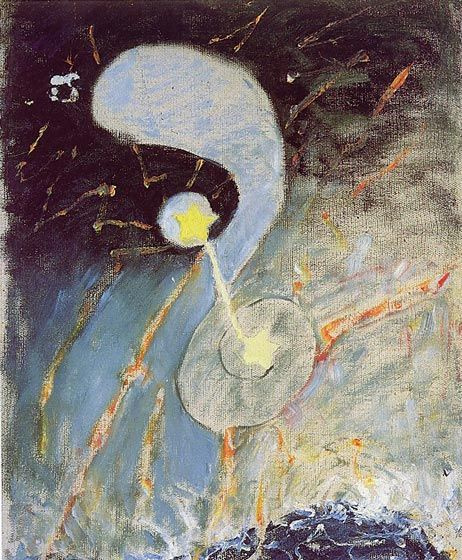 American art critic Alfred H. Barr wrote: "In comparison with these [Kupka's] conclusive and carefully considered achievements the slightly earlier abstractions of Kandinsky and Larionov seem tentative." 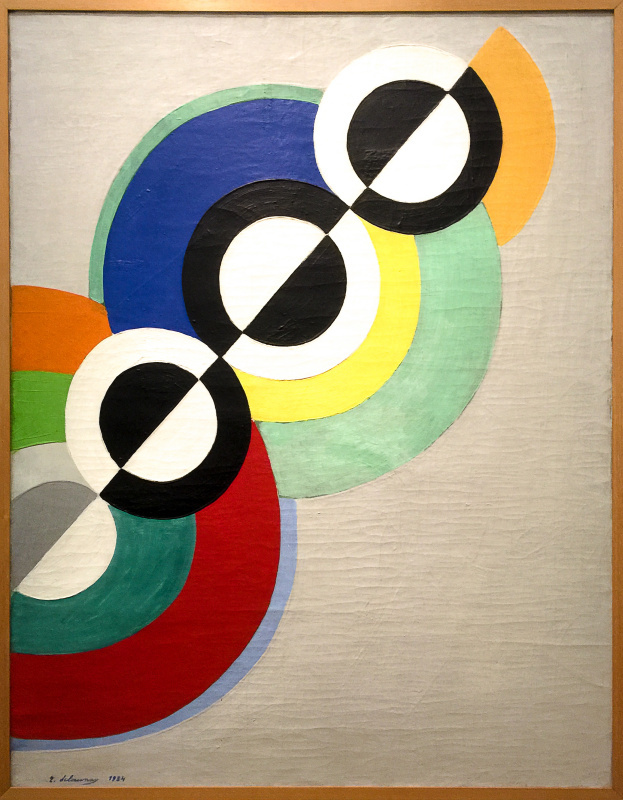 Almost simultaneously with Kandinsky and Kupka, French artist Robert Delaunay cultivated the soil of Abstract art. The painting Simultaneous Disc in general and its title in particular are inspired by The Principles of Harmony and Contrast of Colours by Michel-Eugène Chevreul. As a chemist, he was director of the dye works of the Gobelins tapestry manufactory. Since due to the combination of some neighbouring colours, sometimes it was not possible to achieve the expected result, Chevreul invented a colour wheel (or chromatic diagram), which displayed the principles of the influence of colours on each other. 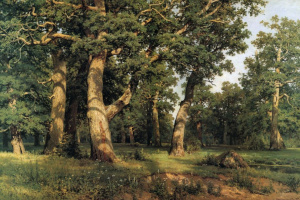 This theory, created by him in 1839, had a huge impact on the development of many painting styles, and even fostered the emergence of Divisionism. 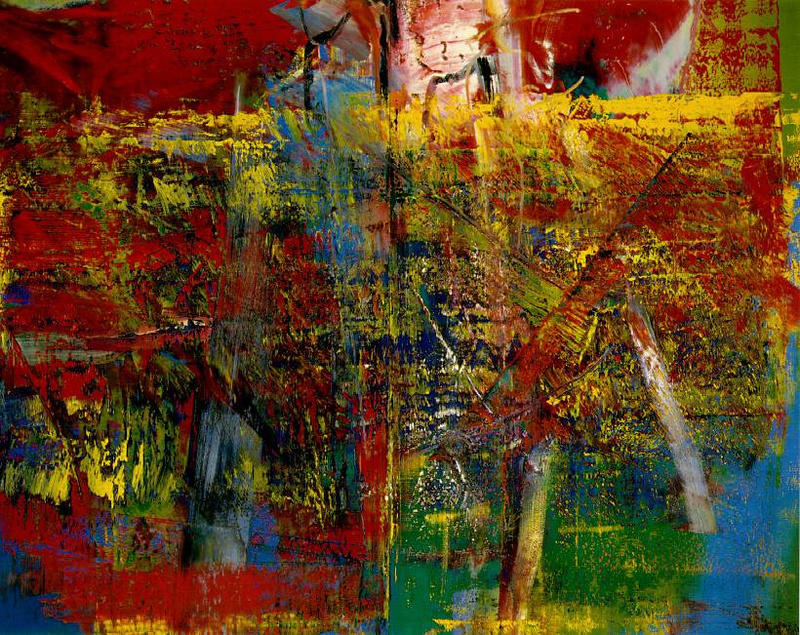 — Can feel that the abstract painting is a forgery and wasn’t made by famous artists, judging by the lack of special rhythm in it, its' colour choice and faulty composition. 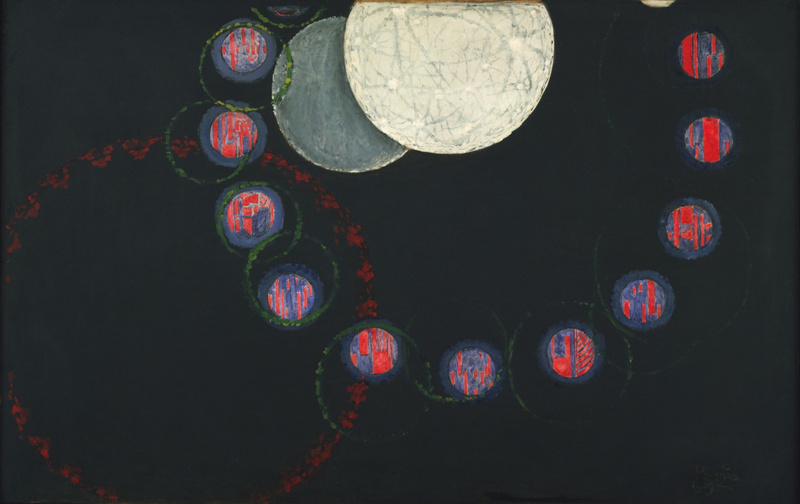 — In an intellectual conversation about the origins of Abstract art, can successfully remark that half a century before Kandinsky and Kupka, non-objective paintings were created by a medium Georgiana Houghton. 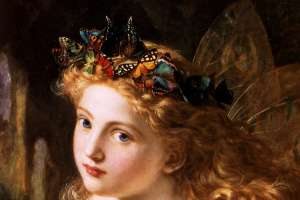 However, she considered higher angelic beings that appeared during her spiritual sessions to be the source of her inspiration. 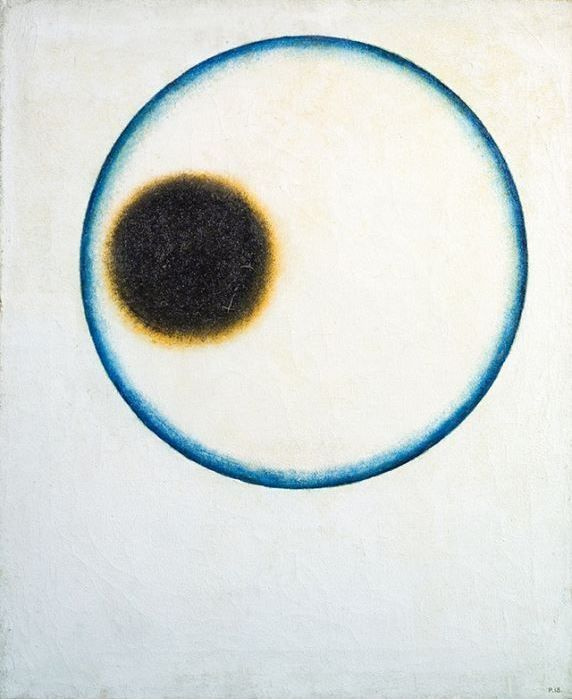 It resembles the case of her Swedish counterpart, Hilma af Klint, who, in a strange coincidence, also began to paint abstract pictures in 1906 as a result of communicating with the spirits. 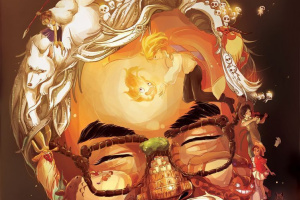 — are convinced that any little child can create a work of art in Abstract style. Indeed, some museum exhibits sometimes cause such thoughts. 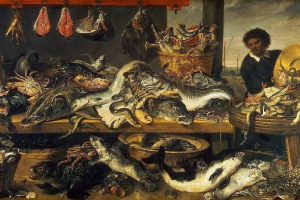 But even in such cases, the context of their creation is of great importance, since it provided the paintings with a place in the museum exhibition and the history of art.